Join us for a three day weekend of healing high vibes, delicious healthy meals, yoga and sacred ceremonies in the heart of the rainforest. This condensed program offers our most powerful tools for rapid mind-body transformation and spiritual awakening. Perfect for those who can only escape the grind for a few days. Our daily yoga, meditation and myofascial release classes prepare your body, mind and spirit for the two Amazonian plant medicine ceremonies. Our expert team of facilitators and healers have over 35 years of experience working with individuals and groups with these ancient medicines and traditions. They hold remarkable space and offer integration counseling during and after the retreat. Must apply to begin the registration process before paying deposit. A non-refundable deposit of $500 is required to book your space. Arrivals and Departures: Manuel Antonio is 2.5 hours drive by car from San Jose. Once your deposit is received you’ll need to book your flight to land no later then 12:30pm noon on the day before your retreat begins. Once we have your flight times the epic team will align shuttle or taxi pick up from the airport and send you confirmation via email. Check-In at Posada Natura Retreat Center begins at 12:30pm on the day your program begins. If you’d like to purchase additional nights before and/or after your retreat please inquire with an epic team member via email. Check-Out is 10am on final day. Cancellation Policy: A 50% deposit is required to book your space. Full balance is due 30 days prior to start date. All payments are non refundable once made. Email Daniel for payment plan options at Amber@EpicSelf.com. Financing also available through PayPal for up to six months with no interest. Price Includes: 3 nights shared accommodation, organic plant based meals, two sacred plant medicine ceremonies, integration coaching, travel booking assistance, dietary guidelines. If you’d like special day adventures or services outside our retreat days our team can help you book them easily. Additional meals and nights outside of your program can be purchased separately as well. 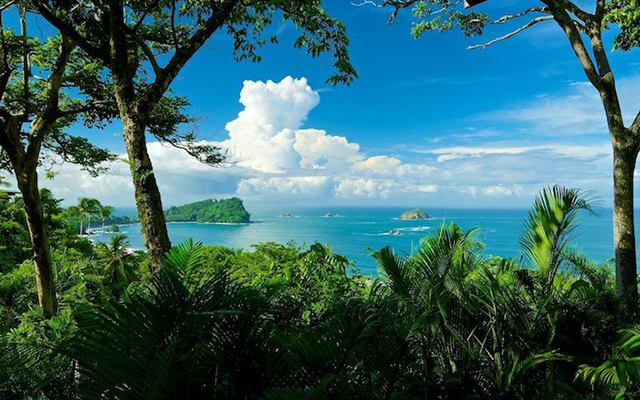 Not included in package price: Your flight and ground transport from the San Jose airport to Manuel Antonio. The EpicSelf staff will assist you with all logistics and planning once you register. The shared shuttle is $82 round trip, while a private taxi is $240 round trip. Don’t hesitate to reach out with any questions. We are happy to assist.